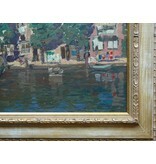 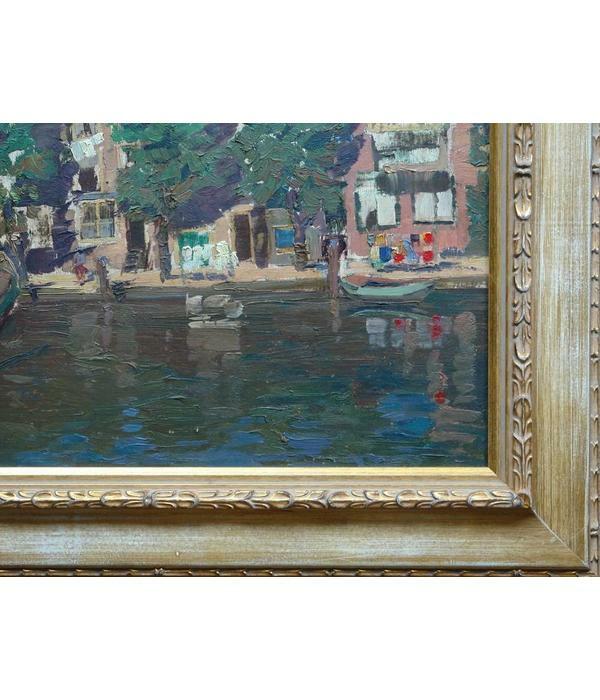 Oilpainting on panel, signed and dated 1927 lower left. 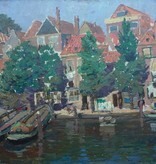 'Wharf in the Dutch city of Dordrecht'. 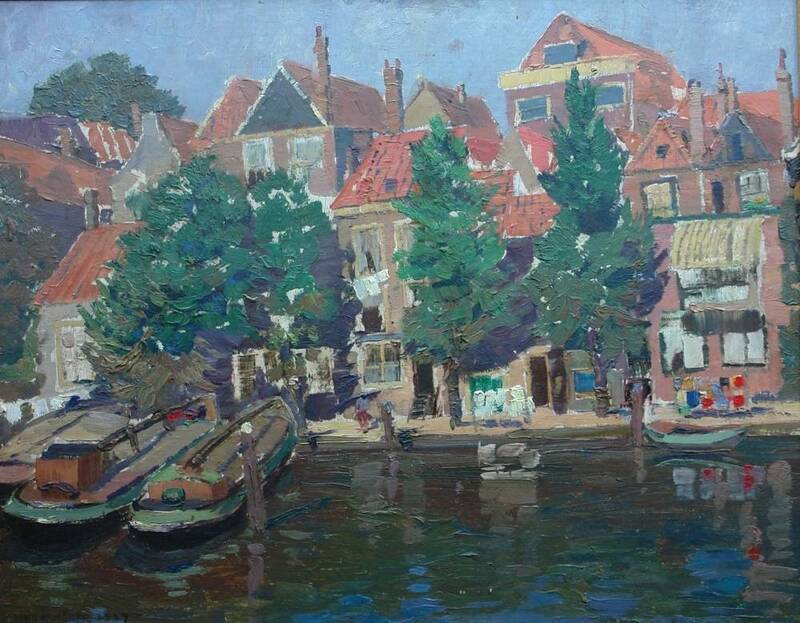 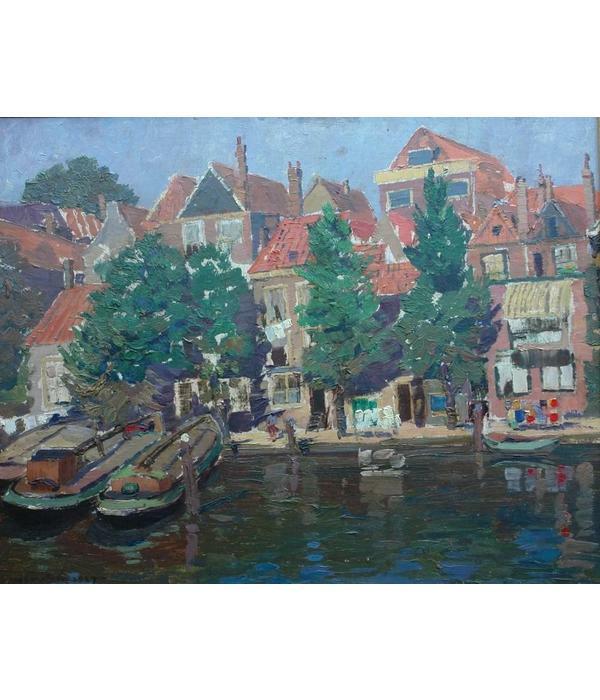 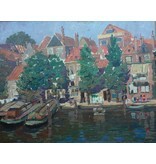 Jean Anacker (1878-1955) German painter who worked often in The Netherlands. 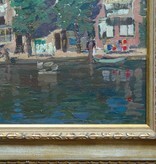 Worked also on the project 'Dreaming of Holland' a project to depict typical Dutch river-and land-scapes with mills etc. 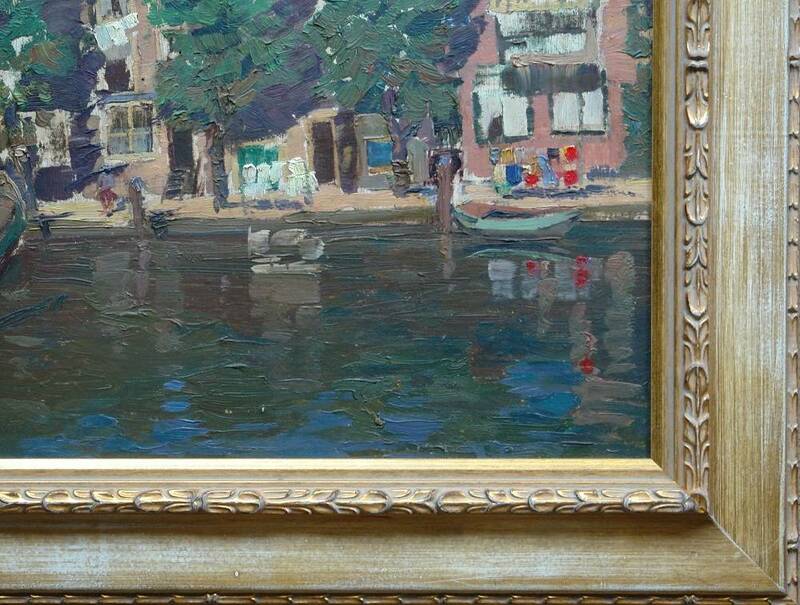 seen trough the eyes of foreign painters.